You need community, accountability and inspiration to get started and keep going. Join me and learn to make simple, delicious & healthy meals for you and your family. We’ll make seasonal, organic meals that maximize the health benefits of food and minimize your time in the kitchen. 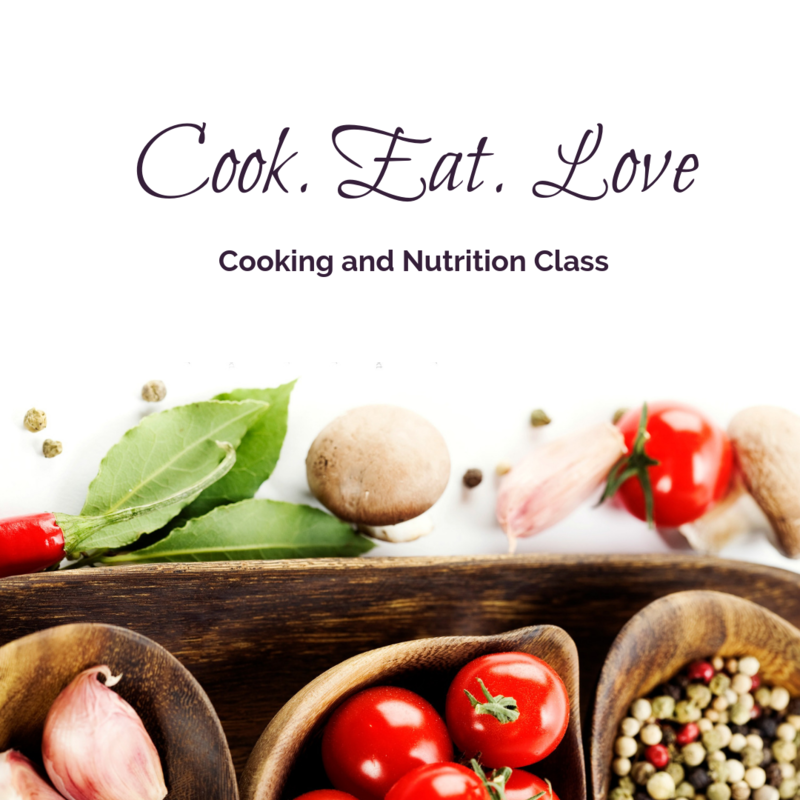 You’ll leave each class excited about being in the kitchen and eating healthy. We will prepare about 5-6 dishes and then sit down to enjoy it together. All meals are gluten-, dairy- and refined sugar free! And I promise you won’t miss a thing! Let’s celebrate Spring with sensual foods that optimize hormones to boost your energy and your mood while helping you lose the extra weight. Learn how to prepare these foods and why they are good for hormone balance. You’ll get a nourished belly, a copy of the recipes, and nutrition information about hormone and adrenal health. On the menu….Asparagus Soup, Spring Nori Rolls, Chicken Curry and Springtime Buckwheat Salad. Stressed out over what to eat ? You’ll get a nourished belly, written recipes, and handouts on gut healing. On the menu so far…Lamb and Fennel Stew, Ginger Salmon & Green Beans, and Turkey Kofta with Tzatziki Sauce. ​3.5-hour hands-on or demo-style cooking class in your kitchen. I bring all the ingredients needed to make a delicious meal to prepare & enjoy together. You will learn knife and other kitchen skills as well as nutrition tips to make easy and delicious meals. You will get written copies of the recipes. This is fun for a birthday party, baby shower or reunions. Set up an appointment and we can chat about the details and see if it is a good fit for you. “Before I attended this event, I had a real hard time with menu planning and getting groceries at once. It’s hard b/c I just can’t get everything done, but I feel newly inspired.